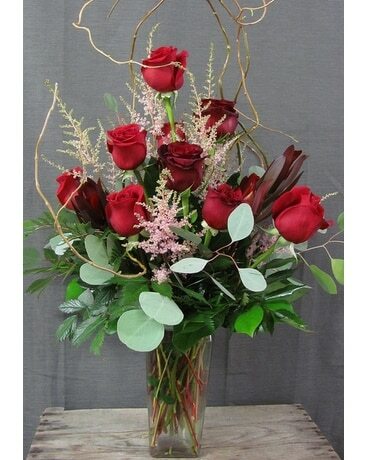 Red roses with red leucedendron and pink astilbe are made grand with silver dollar eucalyptus and culry willow branches. Let us make you a beautiful rose bouquet to send to your special person. Deluxe arrangement features 12 red roses.